Structura Technologies was founded to help US concrete contractors, developers, and builders produce safe, durable, high quality residential and commercial concrete structures, both above and below grade. With over 15 years of service dedicated to concrete contractors throughout the US, MonoKast Precast Insulated Wall Systems were developed to add value to builders homes. MonoKast Wall Systems are designed to meet the latest “Green” standards that also meet architectural specifications and building codes. MonoKast Precast Licensees are seasoned professionals with a successful history in the concrete foundation industry. 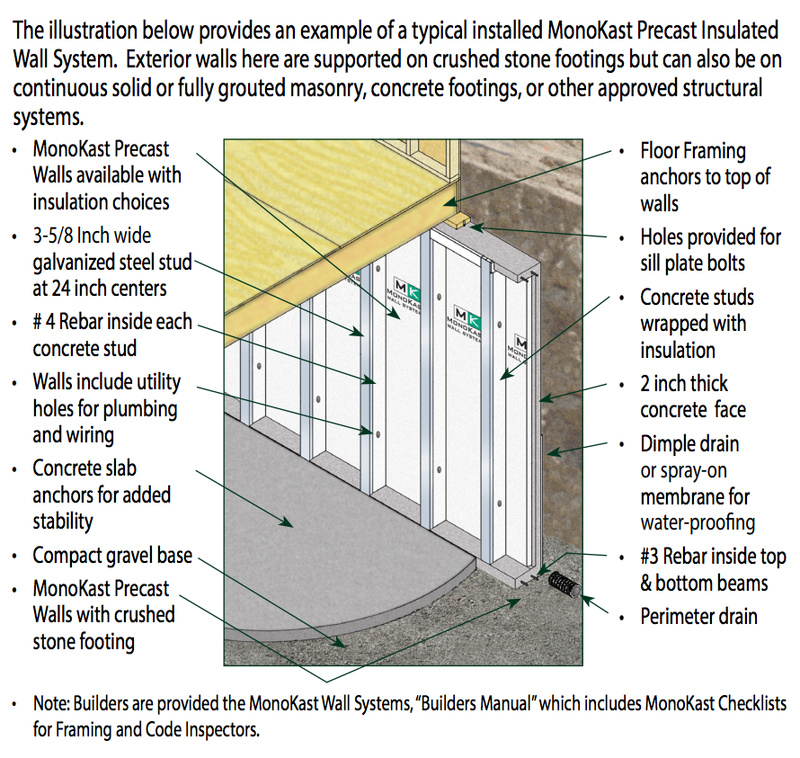 These experts provide proven wall installation methods using the MonoKast Precast Insulated Wall System. When you do business with a MonoKast consultant, your foundation will have the latest advanced technology and a cost effective building solution you can trust for the long term future.